Features: A keychain with one LED Lamp and a Bottle Opener. 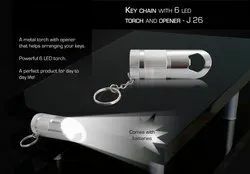 A metal torch with opener that helps arranging your keys. Powerful 6 LED torch. A perfect product for day to day life! 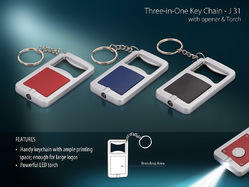 We have variety of LED utility Key chain. All the key chain are different price.all the images are with price at the top. for higher quantity price negotiable. White light glowing Keychain.Best for promotional gifts. Stock before Stock Lasts.